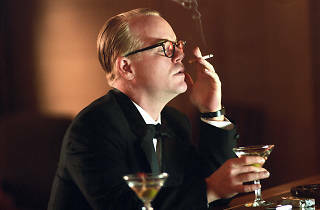 and particularly Hoffman – who gives one of the best performances of the decade – is to suggest that the case is most fruitfully read in the context of Capote’s own life, and as an ultimately self-damning exercise of ego.
) – with celebrity anecdotes and his own childhood recollections; then realise the canny calculation behind the bartering of his autobiographical stories for gobbets of information, which he hoards and savours with vampiric relish. On first spotting the killings in the paper, he sets about with scissors as if a tailor with shears, shaping his material to his ends; by the time he meets and courts the killers the attribution of cold-bloodedness is more than a little murky. Truman and Perry’s relationship is something like love –intimate, attentive, even co-dependent – but clouded by using; at one point the writer spoon-feeds the killer baby food, at another calls him as ‘a goldmine’.
) – Capote’s childhood friend, research assistant and, at least here, would-be conscience – saw ‘To Kill A Mockingbird’ written, published, garlanded and filmed; even as you marvel at Truman’s narcissism it’s no great struggle to feel his distress, see his grip on the ever-present tumbler of booze tighten. 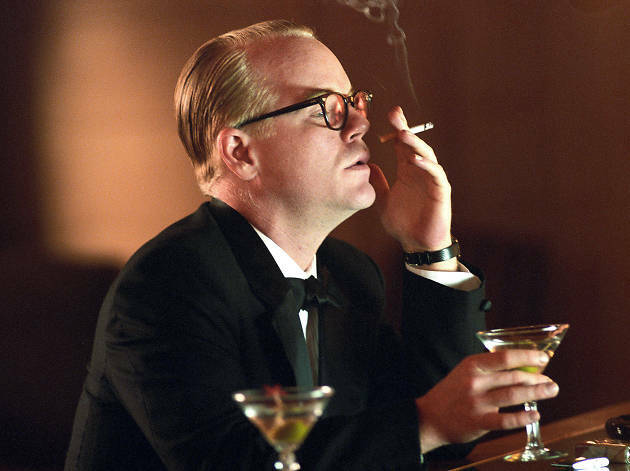 The killer irony is that when the consummation Capote has so devoutly wished for finally comes to pass, it shatters him. Having rushed to embrace a story of death in the pursuit of glory, he finds in the real thing an unspeakable horror, yet cannot himself change in response. His verdict on the sight – ‘I will never get over it’ – is another testament to the egotism that brought him to it. Excellent. Definately the better of the 2 releases on the same subject.